A few weeks before first rehearsal, Elizabeth Frankel, the Alley Theatre’s Director of New Work, spoke with the creators of Lover, Beloved: An Evening with Carson McCullers. 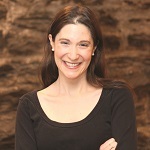 Elizabeth Frankel: We look forward to welcoming you and this fantastic piece back to the Alley for its premiere. To begin, why do you consider this piece a play with music, rather than a musical? 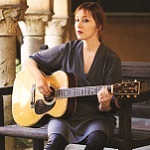 Suzanne Vega: I think a true musical has a sort of template. When you think of a musical you think of Carousel and Oklahoma and these are classic musicals, and they have a style and a certain flavor to them. And this is not that. This is very different. Duncan Sheik: Exactly, I think when you say “musical” that comes with a set of expectations that this show is never wanting to deliver on. I mean really it’s a one-person show that has these really lovely songs inside of it, so I think of it really from a different tradition almost. EF: And how did you come to collaborate on this show? SV: My next encounter with Duncan was when he opened for me on tour, back in the 1990s, and this was before he had his big hit “Barely Breathing.” It was very memorable, actually, because Duncan had this unusual orchestration with him on tour. Usually the opening act doesn’t come with all these strings and unusual instruments. So I was struck by how complete his vision seemed, even then. And then later on he had his big hit “Barely Breathing,” and then he did the songs for Spring Awakening, and I was so impressed with the work that he did for Spring Awakening. My daughter was a huge fan, saw it fifteen times, learned all the music, and would play it constantly in the house, so I got to know it very well. The director of the previous incarnation of Lover, Beloved had suggested that maybe I would want to work with Duncan on songs for this play. So we met, and Duncan very graciously accepted and said yes, he would like to work on the songs, and that’s how we started working together. EF: You’ve written songs on your own before. What made you want a collaborator? SV: I really feel that I’m more of a writer. I feel my gift is as a lyricist, you know, I think that’s where I’m comfortable, and I’m not really a composer. I write folk songs. And I could hear the beauty in Duncan’s work. He really is a composer. And he has a harmonic palette, that I love, and melodic ideas that would never occur to me, so I felt that it would stretch me as an artist, working with Duncan. And I think it has. EF: Is there anything you want to add to that story, Duncan? DS: The only thing I take issue with there is that I think Suzanne is actually a really great composer and writes some amazing pieces of music. DS: (laughs) So I think you’re being a little too self-deprecating. However, I do totally understand the impulse, like when you’re kind of wandering into a new medium, to want to work with somebody who has some experience in that different universe. DS: So I guess in the same way that I was working with Steven Sater, who had been a playwright for twenty years before we wrote Spring Awakening, I think, you know, there’s a certain kind of sense…because by the time I started working with Suze on this show I had been sort of writing for theatre for a decade. Unbelievable to me, but I had been. So, yeah, the collaboration made a lot of sense, and of course I was totally excited to get to work directly with Suzanne, as opposed to just being on tour together. EF: How did your collaboration work specifically? SV: Well, sometimes I gave Duncan assignments for songs. For Carson’s Last Supper, I said, “You know Duncan, what I think would be great here would be something that sounds both like a hymn that you would sing in church on a Sunday, but also something like a drinking song like you sing in a bar on a Saturday night. So can you find a way to combine those two elements?” And he came up with what he came up with, which was just perfect. So I would do that often, I would say, “Duncan, I need a song that’s like this or like that, you know. I need a song that’s kind of a waltz, or something that would contain the phrase ‘New York is my destination.’” So he had to use the rhythms of that phrase in a way that kind of echoes a Rodgers and Hammerstein song of the time, and I wanted something kind of worldly and cosmopolitan, and he came up with these gorgeous pieces of music, and really nailed it. DS: You know that song in particular, it seemed like it needed to be sort of breezy but very hopeful and excited, like she was about to embark on these new days of her life. I don’t normally do hopeful that much in my writing but this was a good opportunity to try and get at that spirit. SV: Yeah. The other thing is that Duncan has really pushed me in terms of my range. When we did the album [of the same title, which contains songs from the show] he said, “Why are you singing in this low voice? Why don’t you sing it in a higher voice?” And I said, “Because I can’t sing up that high.” And he said, “No, you sound very vulnerable and it sounds really great.“ He’s really pushed me a little bit beyond my comfort zone, which has been really fun and really works now in the play. I go places vocally which I would not have done normally. DS: And again this is where I have to say that I think Suzanne in her own music does an amazing amount of things with five or six or seven notes. One of her real gifts is her ability to do a lot with a minimalist melodic palette, but there is a lovely vulnerability and a different sound that happens when you sing a bit higher and I think it does work really well for the character. EF: Suzanne, what made you decide to write a piece of theatre? SV: I’ve always been interested in theatre, and I minored in theatre at Barnard College. I majored in literature but I minored in theatre and spent a lot of time in the theatre. So the first drafts of this play were done as an undergraduate at Barnard. Back then, it was a half an hour show and I wrote five songs with a collaborator, and I always had intended to return to it, to flesh it out. It became a kind of puzzle, how to take someone’s life and bring it to life on a stage in all its complexity. So I’m really returning to something that I’ve loved for a long time. EF: And Duncan, how did you first get into theatre from the music world? DS: I had become friends with this playwright Steven Sater, and I had written some music for a lyric that was in one of his plays. This was in, like, 1999, and he started just sending me lyrics and lyrics and lyrics, just sending me stuff constantly, and that turned into my third record “Phantom Moon” which is on Nonesuch. But while we were writing and recording that record, he gave me a copy of Wedekind’s Spring Awakening, and said, “Read this play. I think it could make a really great musical.” And I gave him a grimace and was like, “Steven, musicals are not really my bag.” I didn’t feel a lot of kinship stylistically with what was going on in the musical theatre at that moment. Anyway I read that play and it was really racy and sort of outrageous, you know -- a fascinating document being kind of one of the first expressionist plays of the late-nineteenth century. So I thought, well, you know, if nobody minds that I’m going to write music that’s stylistically like the music that I listen to, that I enjoy, that it’s not just post-Sondheim musical theatre writing, then fine, let’s go ahead and try and do this. And luckily we found a friend in [director] Michael Mayer, and Michael seemed to really respond to this more contemporary approach to the sound of the show, and then, only seven short years later (laughs) it went to Broadway. EF: It makes sense hearing you talk about how you didn’t relate to the sound of musicals before that because Spring Awakening was such a turning point in changing what the sound of musicals could be. DS: And I should probably amend that and say that, you know, since that time eighteen years ago when I said that, I’ve come to really appreciate musical theatre so much more. Both things from the canon and then contemporary things that are happening now. So I’ve sort of softened up my judgement about musical theatre, and I also think musical theatre in general has opened up to different sounds of late. EF: Yes. And you’ve certainly been part of the opening. EF: So, backing up, Suzanne, obviously this piece started with you, so what drew you to Carson McCullers as a subject? SV: It started as a class assignment in college. I had a teacher named Shirley Kaplan and she gave us an assignment which was to come in class dressed as a person in the arts who was no longer alive, and be ready to field questions as though we were on a television show. So I had to know this character really well. And I had seen a photograph of Carson McCullers and I was sort of familiar withy some of her writing but not all of it, and I bought the biography, and I just fell in love with her. I came in the next day, I made a little costume and I arranged my hair like hers. I fell in love with her really through her biography, a biography called The Lonely Hunter by Virginia Spencer Karr. Carson is complicated, she’s very modern, she’s way ahead of her time, she was very young when she had her first success, she was an alcoholic, she had a, you know, all these things we learn through the play. I was drawn to her life and to how complex it was and what a rebel she was. And I’ve been in love with her ever since. EF: What was your first connection to Carson McCullers, Duncan? DS: I remember an English teacher in high school who explained the concept to us of the lover and beloved [from The Ballad of the Sad Café ] -- that in a relationship there’s always going to be one person who’s in love with the other person and one person who’s not so much in love, which I found to be really depressing but really true, as a high school student. EF: Getting back to Lover, Beloved, what has director Jackson Gay brought to the piece since she started working with you? SV: She’s brought some sympathy; she understands the character. She also offers an objective eye. She’s been very helpful because, you know, it’s complicated for me because I’m the playwright, I’m the lyricist, and then very often I play the role. So she is the objective eye that is very helpful to me both with the playwriting and with how I portray Carson McCullers. DS: Jason is going to be writing for cello and violin and a reed player who will double a few different instruments, and then piano and guitar, so it’s a whole different set of colors. He’s a really great orchestrator so it should bring a whole new sensibility. EF: For someone who knows your album Lover, Beloved, which you released last fall, in what way should they expect the music in the show to be different and in what ways the same? SV: Well there are two songs on the album that are not in the show, and there are many songs in show that are not on the album. And the orchestrations will be different, although they might have some elements that are similar. It’s a modern album with some old-fashioned touches, so I think the new orchestrations are going to be a little more like chamber music, I guess, a little more hand-picked, and it won’t have that modern sound. DS: I think in performance, because of this new set of instrumentation, it will probably be a little bit more elegant-sounding in some way, but again we haven’t heard the arrangements yet so it will be our Valentine’s Day present. EF: You were here for a week in August, 2016. How was that time useful to the process? DS: There were a couple new places for new songs that everyone felt we might want to attempt. I sort of just wrote a couple things fairly quickly over the course of 48 hours and then 24 hours later, Suzanne actually performed them in front of an audience. So it was a lot of work in a quick turnaround period. I was really impressed that she pulled that off. And since that time, we’ve continued to refine those new songs. They add a lot to the piece, and so it feels like a really good complement of songs in the show now. SV: I was really impressed that we were able to get that work done. We needed those songs to be finished and, as you said, it was kind of a miracle that you were able to compose them and I was able to perform them pretty much that same day. The week was great because we pretty much justified every line of the play, we discussed its structure, we tightened it up, we made sure the facts were correct, and then we got to perform. It was terrific to get feedback right away and we could incorporate what we had discovered from the audience the next day. It was a very vital process. EF: And we had our recent text workshop in New York in October. How do you feel those three days affected the piece? SV: Well that was huge. I mean I think the cuts that we made, that you made, Liz, bring a kind of wit and sharpness which we really need. DS: I always feel like the more workshops the better, because you always learn something, you always make changes that are—usually smart changes, hopefully they’re smart changes. Most of the shows that I work on will go through five or six or seven workshops before they get put in front of a paying audience. So I’m a big fan of development. EF: Well good! Suzanne, if you had met someone who has never read Carson McCullers, where would you recommend they start? SV: I would recommend that they start with The Heart is a Lonely Hunter. That was her first novel. It’s a fully realized piece of art. And it’s all the more remarkable because she was so young. But it’s accessible in a way some of her later work isn’t. I love the different characters that she’s able to write; she shows her knack for expressing different points of view in all their diversity. A lot of her ideology, I think, is there in that book: the love of humanity, the vision of agape love -- that is really found in The Heart is a Lonely Hunter. The dream of union with others, you know, I think that’s found there. I think it really shows her gifts. DS: I will agree with Suzanne’s assessment that that book is like an amazing debut album. EF: What about Carson and her writing, which is now decades old, feels relevant today? SV: I think it’s even more relevant. When I first started working on this play, I thought of it as a historical piece that had overtones that were resonant today, but it’s become even more relevant because of the administration that we’re under -- the president, the KKK, the issues, Black Lives Matter, the fact that she was a disabled person who fought for her rights. In her work, she kind of demanded the dignity of all human beings; I think that’s even more timely now than it ever has been. DS: I think that’s a really smart thing to say. She was way ahead of her time in the sense that she was so supportive of the African American people in her community and so wanted to understand their situation. And of course what we’re sorely lacking in right now is a sense of compassion from human to human and she just had that in spades. SV: Exactly, her message is compassion. Her message is inclusion, tolerance, and not only racial tolerance, but gender. She herself was bisexual and said often that she had been born a man. She was very sympathetic to the LGBTQA community, and she was right there with them in her life and it shows itself in her work in glimmers. So she was way ahead of her time and I think it’s there in her work and it certainly was there in her life. EF: So, Suzanne, aside from reading the biography that you mentioned and reading her writing, what else did you do to research Carson McCullers? SV: I read everything I could get my hands on. I went to the performing arts library at Lincoln Center and heard a recording of her reading, so I got her voice, and I also listened to a taping that was done of Carson McCullers and Tennessee Williams at the 92nd Street Y in 1952, and I created a transcript from that, which was very entertaining, and in some ways kind of formed the basis for the idea of her giving a lecture at the 92nd Street Y, because she actually did that. She never did it alone; she always brought other people, usually Tennessee Williams, and sort of bullied him into reading long sections of her work. And I also looked at every bit of film I could find of her speaking. I looked at I-can’t-tell-you-how-many photographs of her. I was a trained dancer so I tried to get her body language first. I got how she held her hands, how she held her body -- all of that is very distinctive. EF: Suzanne, you perform onstage a lot in your concerts so that’s not new, but how is it with this piece to be onstage performing and singing as a character instead of yourself? SV: Well I staged it this way on purpose because it is familiar to me. Standing onstage and singing to an audience, sometimes alone or sometimes with a band, is something I’ve done my whole life. Of course it’s very, very different acting as Carson McCullers. I really feel the pressure to be credible. I’ve had some training as an actress, but not a lot. My main job is to be believable as Carson McCullers and also show the range of emotions that she goes through on the stage as she’s facing an audience, which for her is a trial and ordeal. That’s the part that’s terrifying. It can’t just be Suzanne Vega in a wig. I really have to transform into this other person who speaks very differently than I do and also expresses herself very differently than me. Performing as Suzanne Vega is something I really love and I enjoy it, but performing as Carson McCullers provides a thrill because there’s the possibility of failure. Every time I do the Carson McCullers performance I feel I need to be believable; I need to really transform myself so that she appears and I disappear. DS: And I will just say that I’m very impressed that Suzanne gets up onstage and does this, both as a performer and as an actor. I don’t have the chutzpah to actually write myself into any of my shows. Lin Manuel Miranda and Suzanne Vega have that ability that I’m very impressed by. SV: My dream though is to have other people do it. I hope to not do it forever but to have other people perform it, and I’ve written it that way. My dream is to have a transgender actor do the part, and also to possibly have the person who has the disabilities similar to what she had -- I think they could do the second act. I think that would be exciting to see onstage. I want to see a lot of different kinds of people doing the role. EF: Suzanne, have you acted prior to developing this piece? SV: I did at Barnard College. I started working in the wardrobe department and helping the costume designers, and then sort of timidly started to take some of the courses there. I had a couple of parts here and there, mostly character parts. And then I took Shirley Kaplan’s musical theatre course; I was not a musical theatre fan and so I was surprised by how much I loved that class and how much I loved her teaching. So I wouldn’t say I had any plum roles or anything -- it was really more just getting my feet wet with the idea of roles, of characters. The whole idea of the dramatic monologue was very exciting to me -- that was another course that I had taken -- and I think those courses ultimately changed my way of writing songs. In fact the two songs I’m really known for are sort of dramatic monologues if you look at it that way. “Luka” is from the point of view of a child who is abused and “Tom’s Diner” was also written as a kind of dramatic monologue. So that’s how my study in the theatre transformed my thinking. SV: Yeah, it’s sort of been there at the root all along. I had this foray into the pop world, but those classes that I took at Barnard were really the root of a lot of my songwriting. DS: And I was the Artful Dodger [in Oliver] when I was twelve years old in Hilton Head, South Carolina, but that was the end of my acting career. SV: I mean, I once tried to read for Ophelia and the director of the theatre told me I was the most rational Ophelia he’d ever seen. So I wouldn’t say that playing Ophelia was going to be my forte. But I was still fascinated by the idea that you could get up on the stage and speak in someone else’s voice and still tell the truth. That was an idea that never left me. EF: What else are you working on now? SV: I’m always working on songs. I’ve got a sort of collection of songs started now that deal with my teenage years in New York City. I was a teenager in the 1970s which, as we all know, was a very gritty time to be a teenager in New York, so that’s the theme of my next collection. DS: 2018 is going to be a very busy year for me. After we do Carson, I’m doing a musical adaptation of The Secret Life of Bees off-Broadway at in the fall of ‘18, and we probably have another couple of workshops for that, and then I’m doing an adaptation of Alice in Wonderland called Alice By Heart off-Broadway. That’ll start a year from now; that’s a collaboration with Steven Sater again. SV: I also have some ideas for other plays. One of these days I’d like to move on from Carson McCullers. So we’ll see. I have some ideas for a similar type of etching. You know, I’d love to do something about Georgia O’Keefe. I’ve got some ideas for one-person shows, and then a wider vision for another kind of play. EF: I love that you want to keep writing for the theatre! We’ll have to talk more about your next play after Lover, Beloved opens. 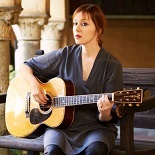 Grammy Award-winning singer/songwriter Suzanne Vega’s celebration of renowned Southern writer Carson McCullers. 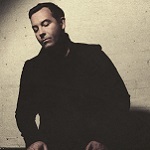 Music by Suzanne Vega and Tony Award-winner Duncan Sheik (Spring Awakening).